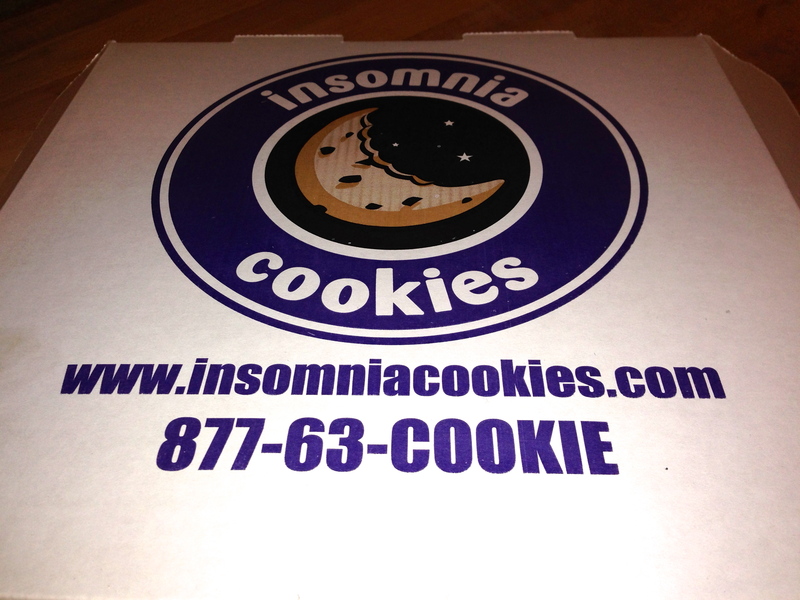 What if we told you that we found a cookie place in Athens that stays open until 3AM and has free delivery? 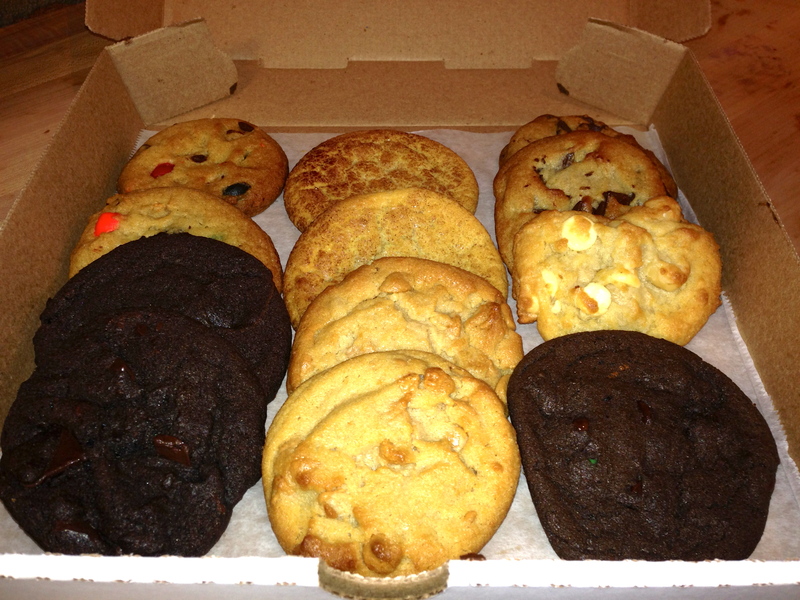 A dozen cookies delivered for $12 could make this every college student’s dream store. In fact, once you have one of these cookies, you will lay awake at night thinking about when you can have your next one. The internet is great for transmitting audio and video, but unfortunately nobody has figured out how to transmit smell. The smell is what you remember the most about walking into Insomnia Cookies. It’s the smell of fresh-baked cookies that are served to you right out of the oven. And the smells are free! Can you smell these? Trust us, they taste as amazing as they smell and look. Every one of them is warm, from the M & M cookies in the upper left to the mint chocolate chip in the lower right. The chocolate in the double chocolate chip (lower left) is warm, gooey and dark. The peanut butter in the lower center row is warm and melted. Three of us attack this box of cookies like it is our last meal. If it’s your last meal, you can order it covered in ice cream. And don’t forget the milk, available for purchase right here, because you know you want milk and cookies. Someone has found a great niche store for college towns. They are located in about 20 cities, but not yet in Atlanta. Insomnia delivers until 3AM, and you can order on the internet if you want to send a student a surprise. It’s enough to make you want to pull an all-nighter.